Portal, featuring dozens of artists, will open to the public on May 4, 2016 at historic Federal Hall National Memorial at 26 Wall Street. Developed by 4heads, Inc. – the nonprofit behind Governors Island Art Fair (GIAF) – the fair builds on the organization’s mission to provide new platforms for emerging artists, from across the U.S. and abroad, to engage with the public, arts professionals, and collectors, while highlighting historically significant landmarks across the city. Following the success of the GIAF, 4heads, Inc. decided to create a new fair that will leverage art world activity in New York City in early May to support the work of young and emerging artists. Federal Hall National Memorial, which opened in 1842 as the United States Customs House, was designed by American sculptor John Frazee. Featured artists will install their work across three floors of the building, including the grand entrance rotunda, second floor galleries and balconies, and the lower-level rotunda, allowing visitors to rediscover the monumental architecture through a diverse range of artistic perspectives. Portal marks the second major collaboration between 4heads, Inc. and the National Park Service, following the successful exhibition of artist installations in Fort Jay at Governors Island National Monument last fall, and coincides with the centennial celebrations of the National Park Service throughout this year. As part of the National Park Service’s ongoing support for new artistic endeavors, Federal Hall will open to the public over the weekend, May 7-8, to encourage audience engagement with both the fair and the site. “Our guiding vision is to level the playing field for emerging artists, providing them with the opportunity to showcase their work in spaces that highlight the significance of contemporary art within the context of history. In a week so filled with arts activity, we want to bring a sense of the fresh and experimental,” said Antony Zito, 4heads, Inc. co-founder. Artists for Portal were selected through an invitational process. 4heads, Inc. leadership invited a selection of artists, many of whom have presented work across the eight editions of Governors Island Art Fair (GIAF), and requested proposals for engaging with specific areas of Federal Hall National Memorial. The vision is to provide individuals with a new opportunity to develop and present their work, building on their successes at GIAF and nurturing continued support for their practices. As with GIAF, featured artists exhibit for free, and no admission to the fair will be charged, to encourage a wide array of individuals to participate as either exhibitor or viewer. Portal provides a new opportunity to experience the work of dozens of artists in a week teeming with activity, and to reignite interest in the city’s architecture and history. Portal takes place at Federal Hall National Memorial, 26 Wall Street, New York, NY. For 17 momentous months, from 1789 to 1790, the location of Federal Hall National Memorial was the seat of the United States federal government under the new Constitution. Moving into the former New York City Hall, Congress passed many of the founding laws of the nation and approved the Bill of Rights for ratification by the states. The 1883 statue of George Washington commemorates where our first president took the oath of office on April 30, 1789. The original building, torn down in 1812, was also the site of the trial and acquittal of printer John Peter Zenger in 1735, and the location where the Continental Congress passed the Northwest Ordinance of 1787, which defined the process of creating new states. The current building, constructed in 1842 as the U.S. Customs House, is one of the architectural marvels of New York City. 4heads is non-profit organization run by artists for artists. 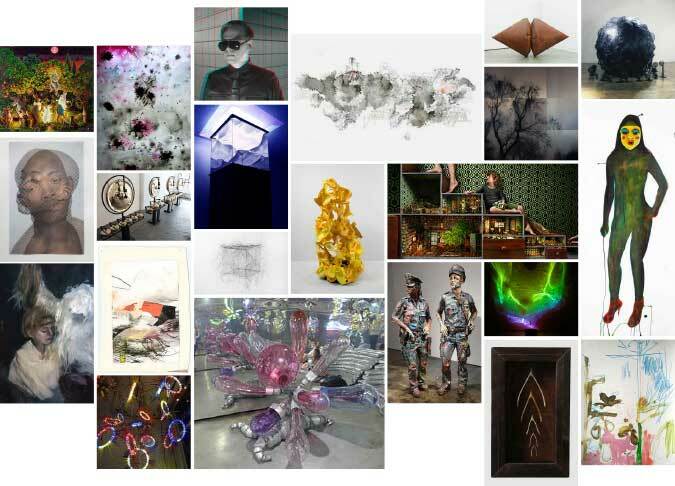 It was launched in 2008, when artists Nicole Laemmle, Jack Robinson, and Antony Zito saw an opportunity to create a platform that would serve emerging artists and the local community through exhibitions, education programs, and artistic collaborations. The organization’s DIY spirit inspires and excites its audiences, while catalyzing a dialogue between artists and people from all walks of life. Its diverse slate of initiatives includes Governors Island Art Fair, Portal, arts-education initiatives for underserved communities, and an Artists in Residence program. 4heads is committed to shedding new light on hidden culture and bringing new life to unexpected and unique spaces across the city.